During the last thirty-three years I have been a persistent student of the security markets. As a member of severalS tock Exchange firms, as a bond dealer, trader and investor, I have come into active contact with many thousands of those who are executing orders and handling markets, as well as those who deal in such markets, namely traders and investors. For the past fifteen years I have edited and published The Magazine of Wall Street, which at this writing has the largest circulation of any financial publication in the world. 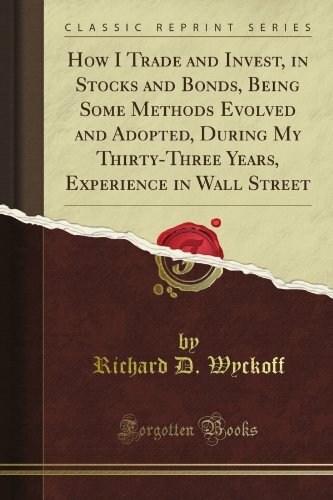 These experiences have given me an opportunity to study not only the stock and bond markets, but all those related thereto, and have enabled me to observe the forces which influence these markets and the human elements which contribute so largely to their activity and wide fluctuations.